Let’s face it. Even though we all love our kids, some days we really just don’t like them. The days where parenting is tough and we question our decision to become parents in the first place. 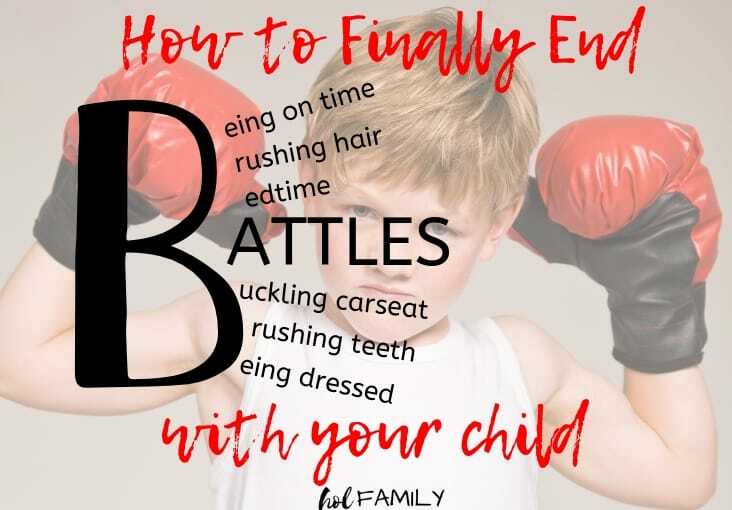 The days where our kids are talking back, throwing tantrums, refusing to eat, flushing our expensive watches down the toilet, drawing all over the couches and wall with permanent markers (I’ve been there with all of the above)! Or how about when you are parenting solo. Maybe your spouse is out of town, or perhaps you are a single parent? These are the times when you are literally counting the minutes until your kids go to bed so you can finally relax, catch up on some work, hang out with friends, or maybe just SLEEP! I am so guilty of living in survival mode as a parent. I have had far too many parenting days where I just got through the day, but didn’t really find much joy in being a Mom. Then, I have those moments where I stop and realize how fast my kids are growing up. It seems like just yesterday that my oldest was born…and now he is 7! Maybe you can relate? The days are long but the years fly by. I often mess up in my parenting. 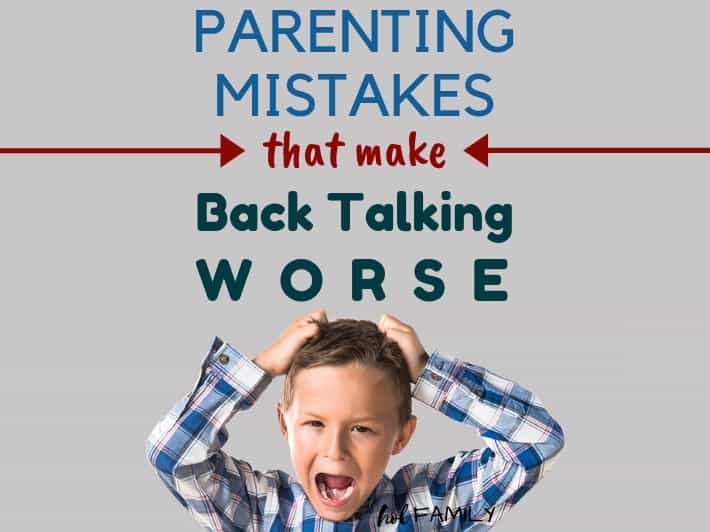 I get frustrated too easily, snap at my kids for something small, fall off course with positive parenting, and say “no” when they ask me to play. When I have these types of days, I find myself lying in bed at night unable to sleep. My mind begins to go over all of the ways I blew it as a parent that day. I reflect and realize how petty my behavior was in the grand scheme of things. 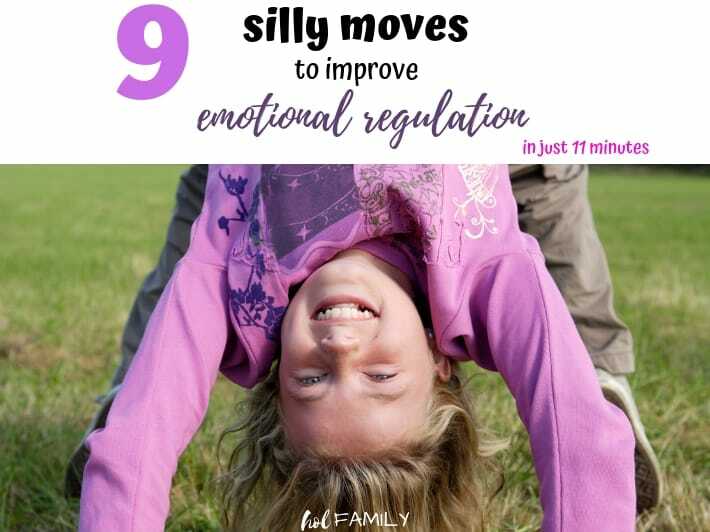 The problem is, as much as I resolve to play more, be more present as a Mom, put down my phone, and find joy again in my parenting…it can quickly fall short the moment things are out of control and I feel knocked off balance in my “Super Mom” mode. One day, as I was getting ready in the morning and thinking about all my goals for that day, I began to reflect on my purpose in life and where my future was headed. Out of nowhere, a quote I love popped into my mind. Isn’t that so true? We struggled with infertility and were told we would likely never be able to conceive naturally. They were wrong! We have three beautiful children, and consider each one of them a blessing from Heaven. I decided that morning, I needed a mental shift. Parenting shouldn’t be something I am just enduring. It should be something I am living out my purpose in. Because the truth is, there may not be. And even if there is another tomorrow, there will never be another today. Shifting my parenting perspective to living like there is no tomorrow has completely transformed how I view my role as a Mom. I’ve learned to be much more present in my parenting, to enjoy each and every moment I have with my children, and to find my joy again as a Mom. The old saying goes, “there’s no use crying over spilled milk.” And yet…I have so been there! It was breast milk, freshly pumped…liquid gold. It was one of my first nights away from baby, and I had pumped so my baby could be fed while I was away. In that moment, the spilled milk seemed like the end of the world. But looking back, it wasn’t really a life or death situation. One of the main reasons I used to struggle with being present in my parenting is that I was too busy worrying about this or trying to accomplish that. Now, I ask myself…in ten years from now, one year from now, or even one week from now…will this really matter? And even if the answer to that is yes…will worrying about it change anything? NO! Then why waste even one more moment dwelling on it? The same goes for your parenting. It used to drive me crazy when my kids would eat with their fingers, tip their chairs, or play with their food. But all of that nagging and criticizing them about it took away from us enjoying time together as a family over a meal. Our kids are only little once. Let’s let them be little, let them make mistakes, let them be human. Don’t sweat the small stuff. This is a hard one for me to write because I am a bit of a neat freak. 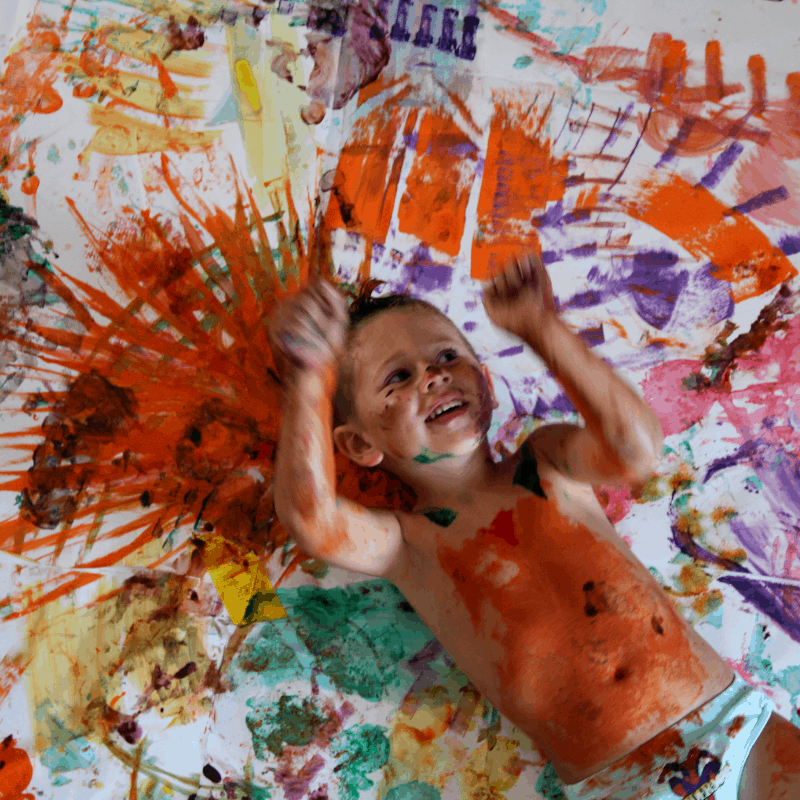 Unfortunately, I have allowed being afraid to get messy prevent me from creating many fun memories with my children. I used to shy away from messy activities with my kids. Playdough, sand, finger painting, arts and crafts, jumping in muddy puddles, building snowmen…all things that I said no too. But looking back at my own childhood, those are some of my favorite memories! I used to love doing those things. I didn’t worry about whether I would get dirt under my fingernails, getting my clothes dirty, or making a big mess. I just enjoyed what I was doing. Now, I love saying YES to my kids when they ask to get a little messy. Sure, it means I am doing extra laundry and giving more baths, but the memories we are creating are worth so much more to me than the time it takes to clean up afterwards. Get a little messy!!! We all like to think we are putting our family first, but in reality the exact opposite is true. Too often we care more about pleasing others and gaining their approval than what our family thinks or feels. I used to have daily battles with my daughter over what she would wear (and she’s only 4). I wanted her to wear the cute, trendy outfits that I had chosen for her and she wanted to wear the ratty, stained clothing I usually reserved for weekends at home. Looking back, she likely chose those outfits because of the memories they held of fun time together as a family. When I realized that my motivation for wanting her to look pretty was to make other people happy and not to make her happy, I knew I needed to shift my mindset. The same goes for extracurricular activities, birthday parties, playdates, and other events. 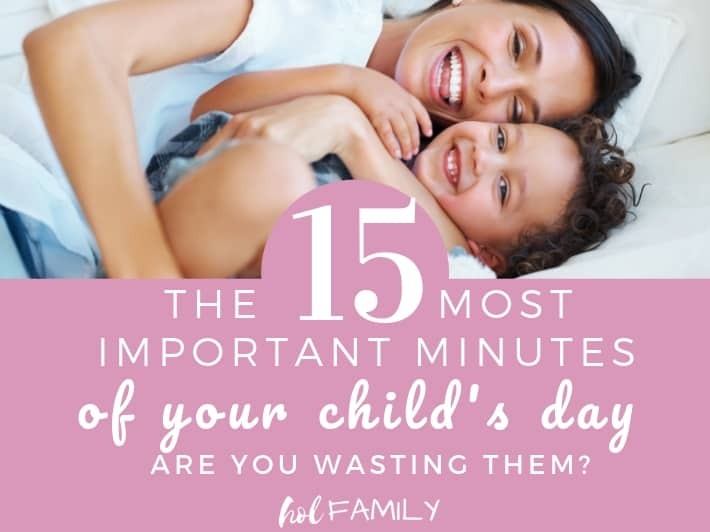 If my child isn’t enjoying the activity or says they don’t want to go to an event, unless it is something we are truly committed to for a good reason…I no longer force them to go. Yes, I may make someone else upset, but if my child really just doesn’t want to go to the birthday party of a child they don’t particularly get along with…then why should I force them? Simply because the parent is a good friend of mine? Not a good enough reason in my opinion! Family first!!! One of the most important aspects of parenting (besides loving our children) is to help prepare them for life outside of the nest. We only get around 18 years to teach our children the important skills and values they will need to be successful in life. Some of the values we have chosen to focus on in our home are to put God first in everything, show love and respect to others, always tell the truth, no secrets, who we are matters more than how we look, family first, memories matter more than material things, forgive and let go, and so much more. 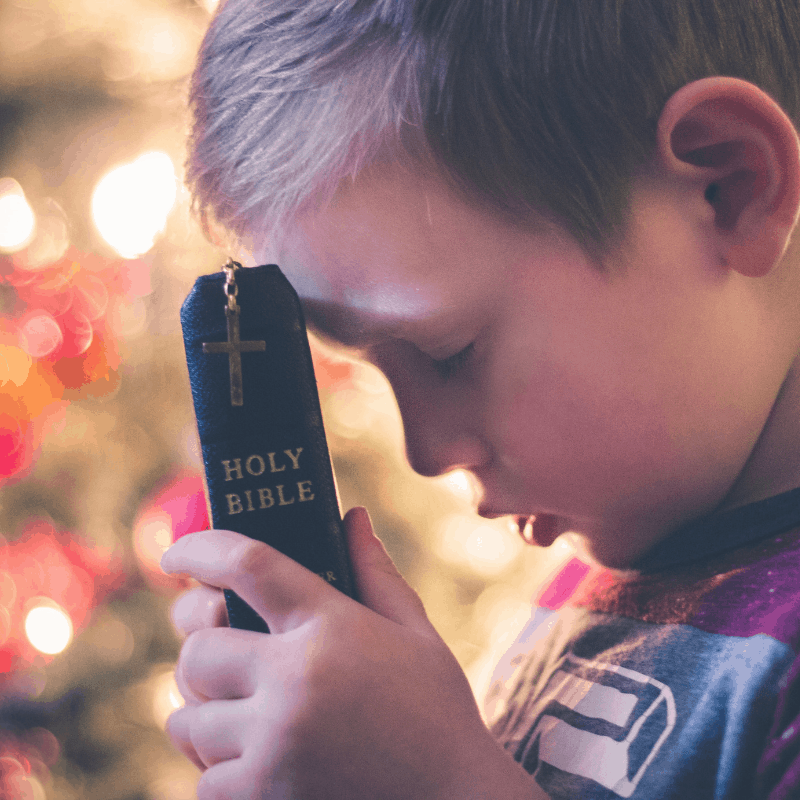 The way we instill these values in our children is not through long lectures and sermons, but through living out these values each and every day. Your values will likely look very different from my values. And once your children are in the world, they will be influenced by so many other opposing forces. Your time to teach them about what truly matters is very short, so don’t waste it. Instill values!!! When I started thinking about what it would feel like to live today like there is no tomorrow, I wondered how I would address difficult parenting moments. If I knew I would die tomorrow, would I still want to discipline my children today? The answer is yes, and no. 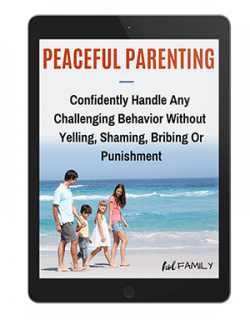 We choose to avoid punitive discipline methods and punishments in our home, preferring a positive parenting approach. This means that when our children are having a difficult time with listening, sharing, controlling their emotions, or other “problematic behaviors,” we focus on making it a teachable moment instead of shaming, punishing, or forcing them to sit in the corner or their rooms alone. 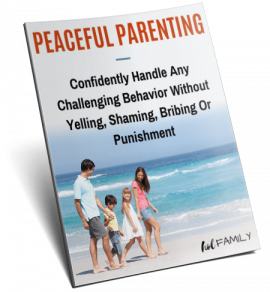 What I love about this parenting approach is that it is relational. When our children are struggling, we are there to support them and love them through those moments. Instead of viewing these behaviors as something to “nip in the bud” or frown upon, we see them in a positive light as teachable moments. Not only does this make the energy in our home so much more fun and enjoyable, but our children feel safe and trust that they can be real with us knowing they will be met with love and open arms instead of punishment and condemnation. Children are just learning and they won’t always get it right. That’s okay. Accept that they will make mistakes. View it in a positive light. And make it a teachable moment. One of the best choices we have made as a family has been to laugh, eat, and play together every day. We take this very seriously and make it a high priority. Breakfast, lunch and dinner, if we are in the house together, we eat together around the table. The television is off, electronics are put away, and we enjoy a meal as a family. 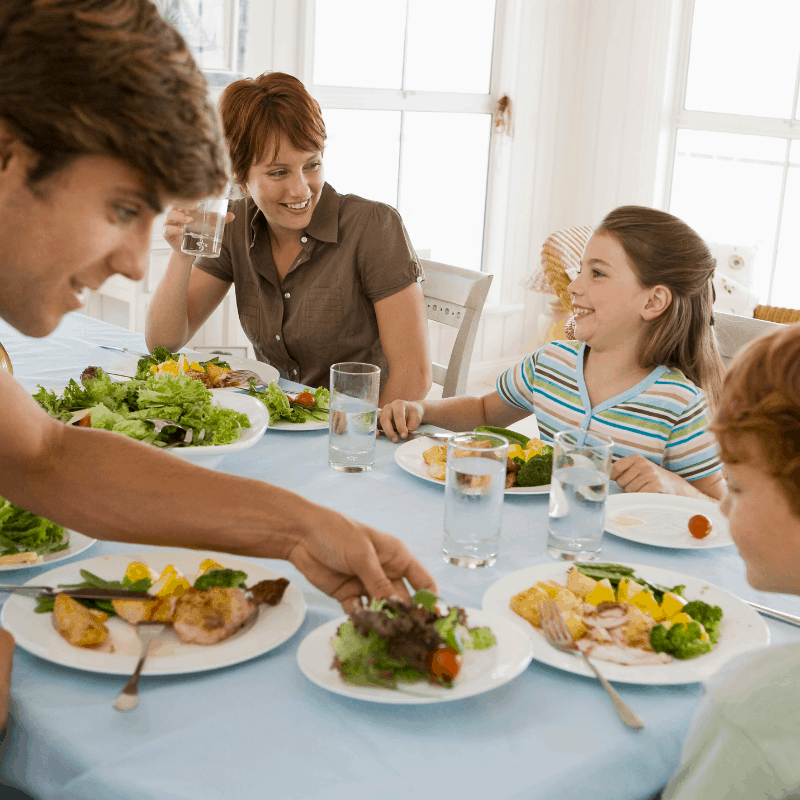 Our kids have learned so much about healthy eating from being able to watch us and eat healthy meals together as a family. This has also been why baby led weaning has worked so well for our children. Every day, we have dedicated play time with our children. Spending time playing together as a family, laughing and having fun has become one of my favorite parts of my day. 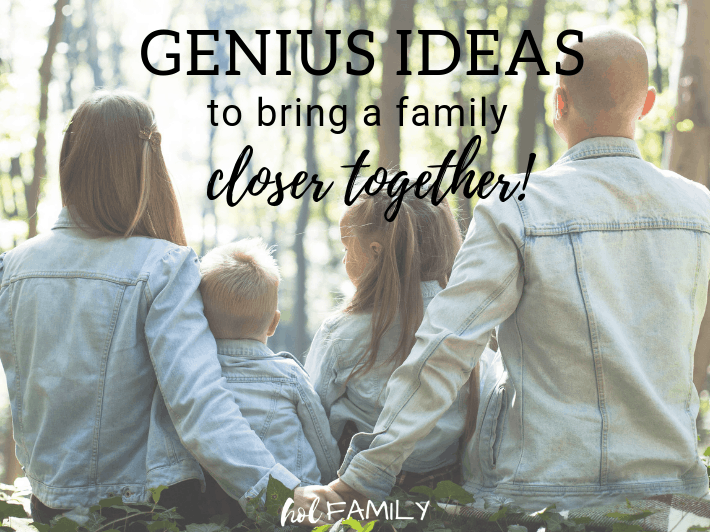 Whether we are playing a board game, running around in our basement, going on a bike ride to the park, or just tickling with our kids, we are creating memories and forming strong bonds with our children. 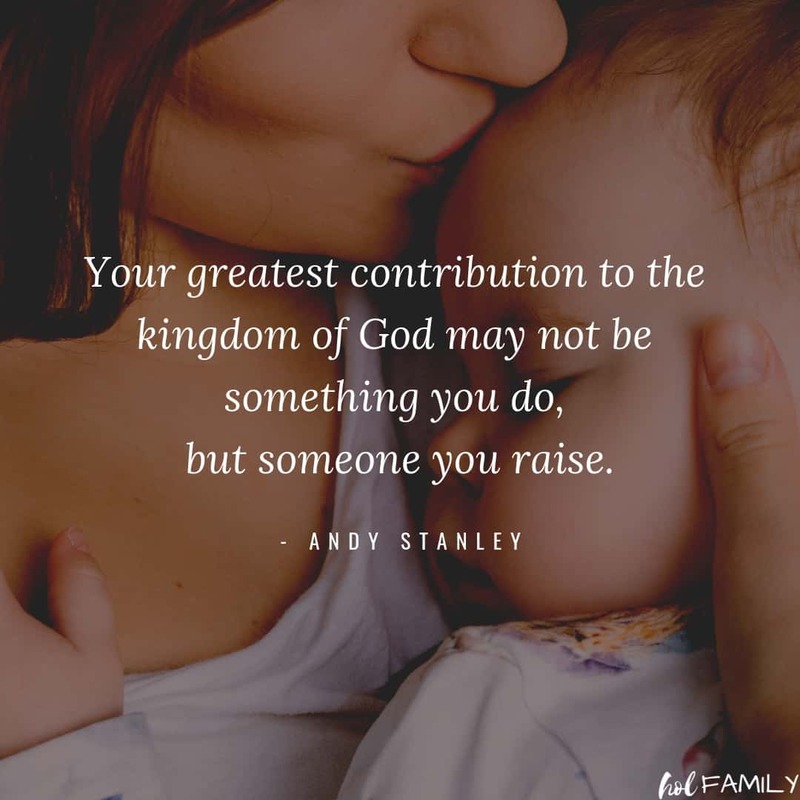 I can speak from experience when I say that if you want to have a better relationship with your children, earn their respect, get your children to listen to you, trust you, and confide in you (which will be very important as they grow and become teenagers)…then you need to spend 1:1 time with them. Put away your electronics, remove distractions, and have more face time (and I don’t mean the kind on your phone). Laugh, eat, and play together!!! Yesterday is history, tomorrow is a mystery, and today is a gift…that’s why we call it the present. 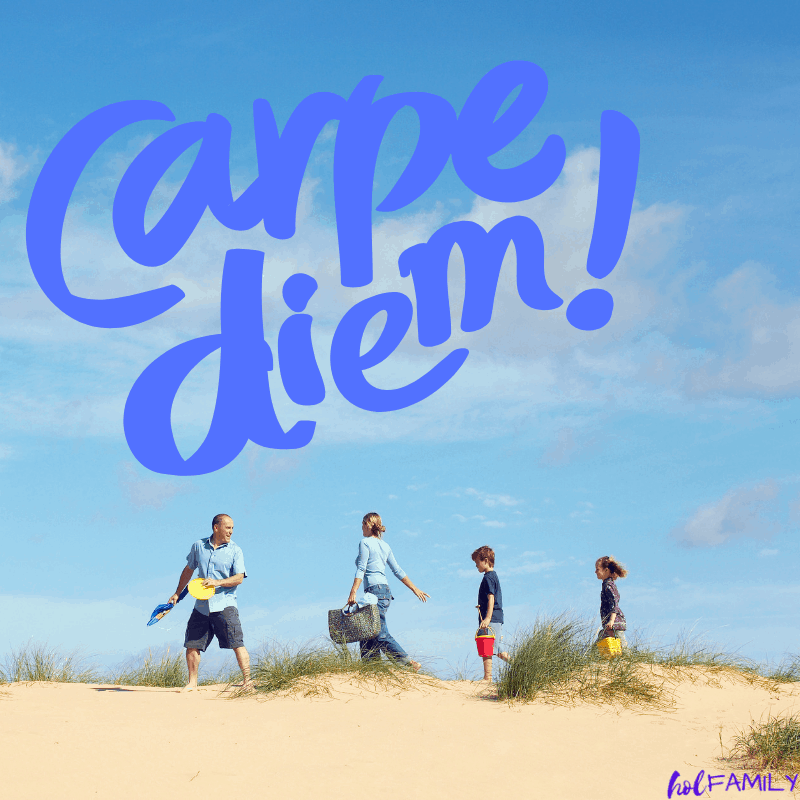 Sure, if we knew we had one more day to live with our kids, we’d probably call in sick to work, spend way too much money, eat ice cream for breakfast, and let our kids create masterpieces on the walls. Obviously, that’s not feasible every day, especially if we do live to see another day. For me, this means living each day more fully. Letting go of what doesn’t really matter, and focusing more on what does. Giving my children that extra hug and kiss for no reason, cuddling them for a little longer before bed, saying yes to that one extra book, putting away my work when they walk through the door after school, playing LEGO or barbies just because…and never forgetting to tell my children just how much I love them for who they are and not what they do. What about you? 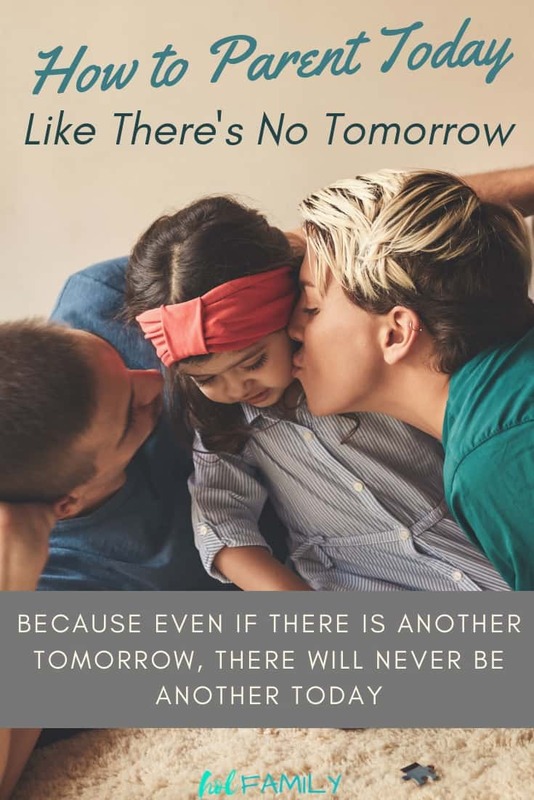 How will you parent your children today like there’s no tomorrow?